The Academy of Awakening was founded by Sue McDonald, a professional Counsellor, Psychotherapist and Clinical Hypnotherapist. Approximately thirty odd years ago I began embracing, with an absolute passion, a whole new dimension of living and loving – I created many, many different versions of my ideal product until I absolutely knew from every part of my being, that I had completely turned my whole life around. Sue began her career as a dedicated nurse, having dreamed of nothing else but becoming a nurse since she was a child. She became a Nurse Educator before growing to embrace many other aspects of the body and mind’s healing process. Her passion for healing has never subsided. Today she delights in sharing her ability to get the very best from herself and others in her healing, personal growth and teaching work. The key focus of the Academy is to provide people all around the world – people who have a huge variety of interests and needs – with EASILY ACCESSIBLE TOOLS, to empower them to achieve more fulfillment and more peace in their lives, their families and their work. Under Sue’s leadership and with the deep insights gained from her lifetime of study and experience, The Academy of Awakening has created a powerful and growing bank of IMMEDIATELY AVAILABLE MP3s and CDs, to empower people to START RIGHT NOW to make positive changes in their lives. The Academy of Awakening’s extensive library of MP3 and CD support programs help people discover more abundance, more peace, more freedom, more satisfaction, more inspiration – and more awakening to their own powerfulness. These powerful tools can now be experienced in your own home. ORDER YOUR COPIES NOW. 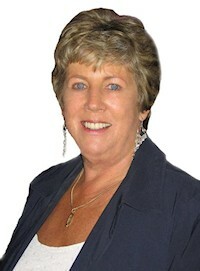 Sue McDonald is a highly trained and experienced professional. Her own life’s experiences, which have included significant emotional pain, have led her to study extensively and explore ways to understand, grow and learn from every challenge. While Sue now celebrates that her life continues to contain exciting challenges and change, the academic knowledge and practical experience she has gained enables her to share REAL, PROVEN strategies to achieve inner peace, awakening and personal power. Sue has presented Workshops, Seminars and Lectures at many public events. Contact Sue to engage her services. These days, her key focus is on creating online tools that can provide people with what they need WHEN THEY NEED IT … NOW … at the click of a button. So if you’re in emotional pain right now, if yourself image is poor, or you’d like to achieve more in your life and your work, click now on our amazing library of Affirmations or Meditations and discover beautiful and powerful tools that are ready to help you make changes NOW.